I’ve been thinking a lot over the past year, and I want to get bigger. I know you, or I think I do., You read through some of the lessons in logic, puzzled over epistemology, and hopefully enjoyed a bit of the poetry. You’re probably not a philosopher, and in fact I hope you’re not. This isn’t for them. It’s for you. It’s about bringing parts of philosophy out of the cold and helping people use them better, because you already use them every day. Now I need you to help me. Because it’s time for the next step. Concept Crucible started as an exercise in not being worried about putting forward ideas. It transformed into a tool to educate people about the everyday uses of philosophy, but I think we can do more. But we need more ideas. So I’m going to ask some friends and to bring them here. And we’re going to look at them together. We’re not going to stop doing philosophy, but we’re going to start using it more. We’re also going to expand the ideas. Non-profits, events, startups, campaigns, business, weird things, music, whatever. We’re going to make stuff, and we’re going to have some fun. We’re not going to stop learning philosophy, but we are going to start doing it more, and seeing how it applies to real things more directly than me pulling stories from the news. 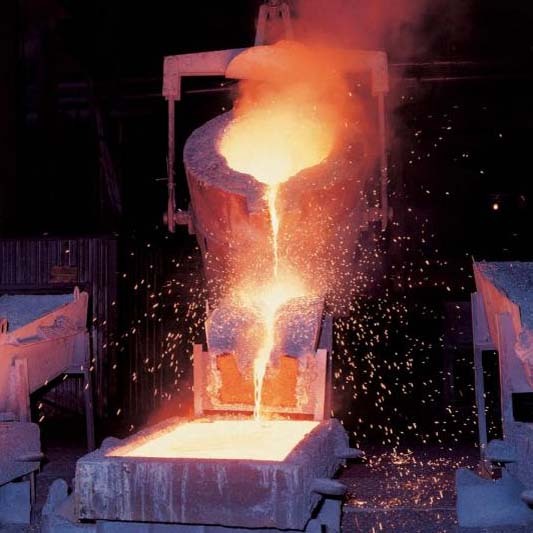 A crucible is a container used to heat metal and remove impurities. And that’s what we’re going to do here. Look at ideas, beat them up, take out the bad and purify them. We’ll alloy them with other ones, and add our own. I’m going to bring in other people to help. We’ll look at ideas that are working, how and why they work, and evaluate them the way philosophers do. We’re going to come up with our own ideas, plant seeds and watch them grow, and generally try to have a good time doing it. This is going to make ideas better. That thing you want to do, whatever it is, learning these things will help make it better. Send me your idea and I’ll interview you, give you a space to talk about it, and together we can help make it a reality. Anyway, there’s lots of changes coming down the pipe. They’ll be gradual, but come the new year, it’ll hopefully be a new thing, and I wanted to let you know. There’ll still be philosophy and fun, but also more community and strangeness, which I’m looking forward to. So keep up with the beat, and watch me for the changes.